Additional Info: Travel cot and high chair available on request, hair dryer, books, DVDs and games for use. Portable barbecue. Small complimentary pack of milk, biscuits and tea, coffee and sugar on arrival. 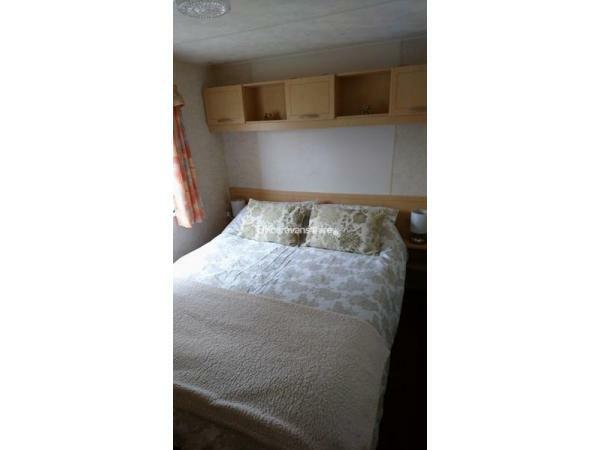 Towels available on request, all bed linen supplied.Caravan has oil radiators and gas fire. 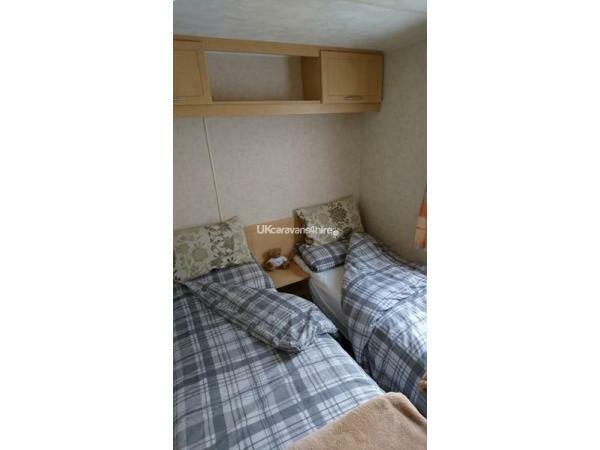 £50 deposit on booking which will be returned after departure, when van is checked for breakage or damages, this is not refundable on cancelation, holiday balance to be paid 14 days before arrival, arrangements made at booking time. 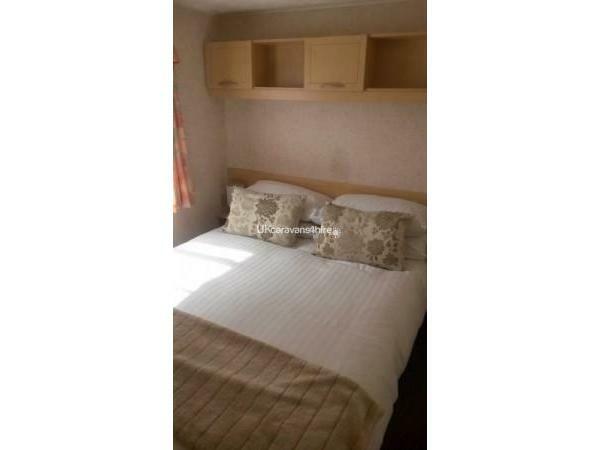 Our caravan is situated in the university town of St Andrews known as St Andrews Holiday Park, Kinkell Braes. It is an ideal setting for a holiday break. The park is situated next to the East Sands and Fife coastal path, walking distance to the local indoor swimming pool and leisure centre and the many restaurants, pubs and cafés in the centre of St Andrews. St Andrews is an ideal place for a golf break with access to some of the finest golf courses in Scotland, St Andrews has plenty to offer people of all ages. Historical sites, Aquarium, Botanical gardens, Cathedral and many other sites. 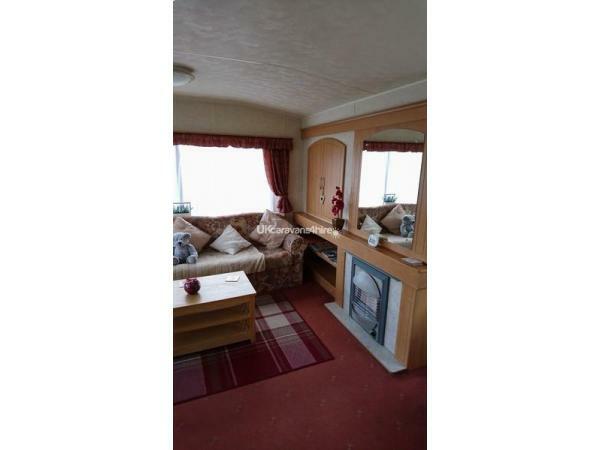 The caravan has a comfortable three bedrooms and can sleep 8 people. 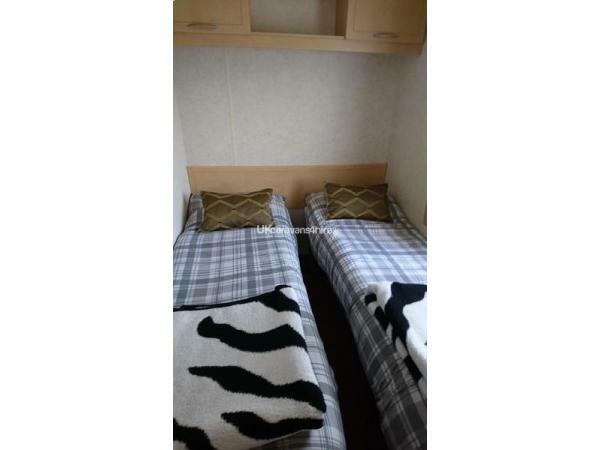 One double and two twin bedrooms and a further double bed in lounge area. kitchen lounge/dining area. 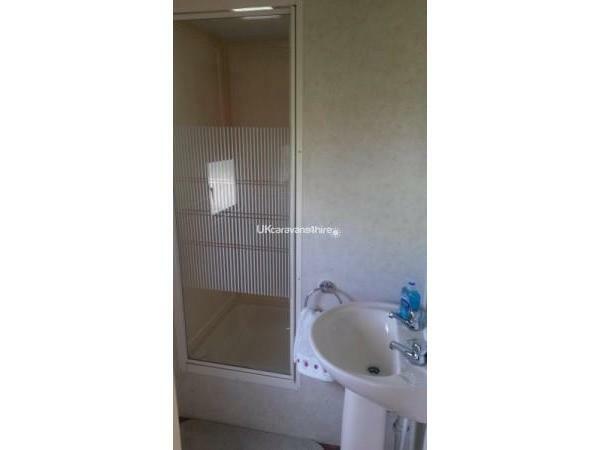 Shower room and separate toilet. 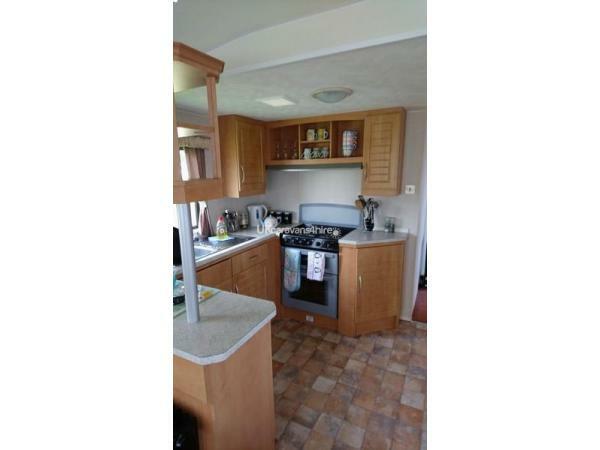 The caravan is fully equipped with gas cooker, microwave, fridge, toaster, kettle and all cooking utensils. The lounge has a flat screen 32inch TV with freeview, plus DVD player, a selection of books, DVDs and games for you to enjoy on a cosy night in. 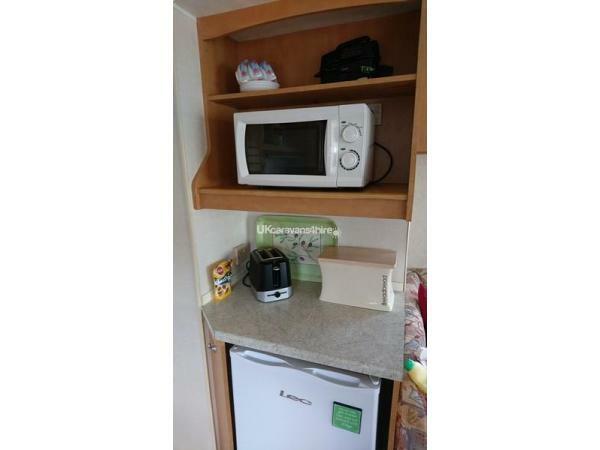 Gas and electric are inclusive of hire price .All bed linen is provided and towels can be provided on request, also available is a travel cot and high chair. Well behaved dogs welcome. 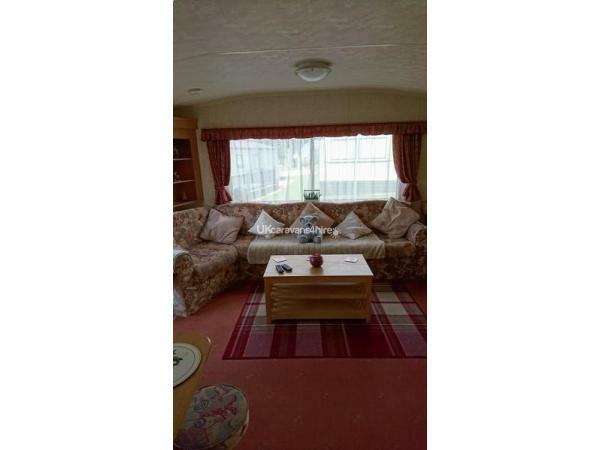 Strictly no smoking inside caravan.